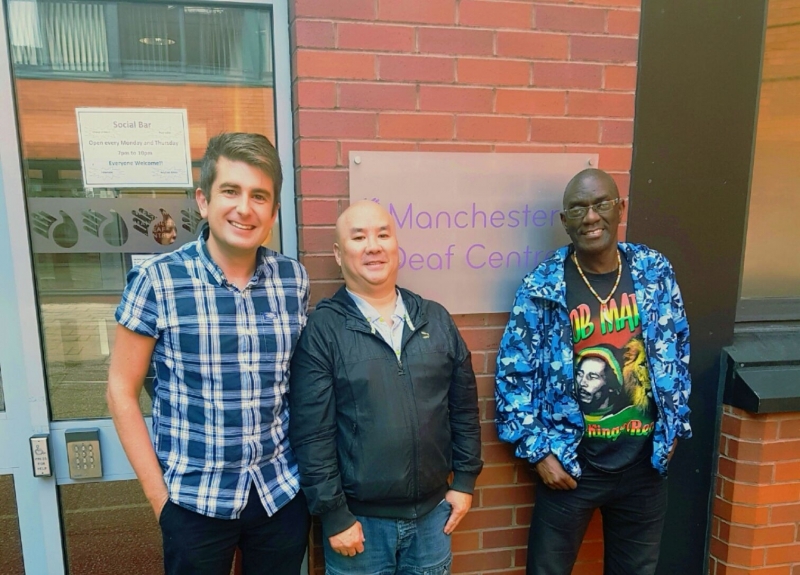 Manchester Deaf Centre - "I feel like I belong to a community"
The DAVE (Deaf, Actively, Volunteering, Experience) project helps 35 young people (aged 16-25), with a wide range of hearing defects, to manage the transition from education to whatever they want to do next. This could include helping to build confidence, socialising, gaining knowledge, doing workshops, applying for courses and getting new experiences. In short, the project can help with anything that is needed to assist people to live independent lives. The young people who come guide what the project does at a quarterly forum. One of the young people involved in the project said “I feel like I belong to a community”. Angie has been working as a support housing manager at Manchester Settlement for the last 13 years. She and her team support people living in two projects, one for care leavers and looked after children and the other for single homeless people with support needs. On Wednesday 21st September, she was doing an end of tenancy for a young Polish woman who she has been supporting for the last year. This young woman came to the project because she was struggling at college. She was being treated like a slave at her home, having to do all the cooking and cleaning and being ordered around by the family she was living with. During her stay, at times, she has been depressed and very low in confidence. However, with the support of Angie and her team, she is now going to university. In Angie’s view the most important things that she and her team do are to listen, be there as someone to talk to and to push the young people to be everything they can be. Many of the people they help keep in touch for years after they leave. 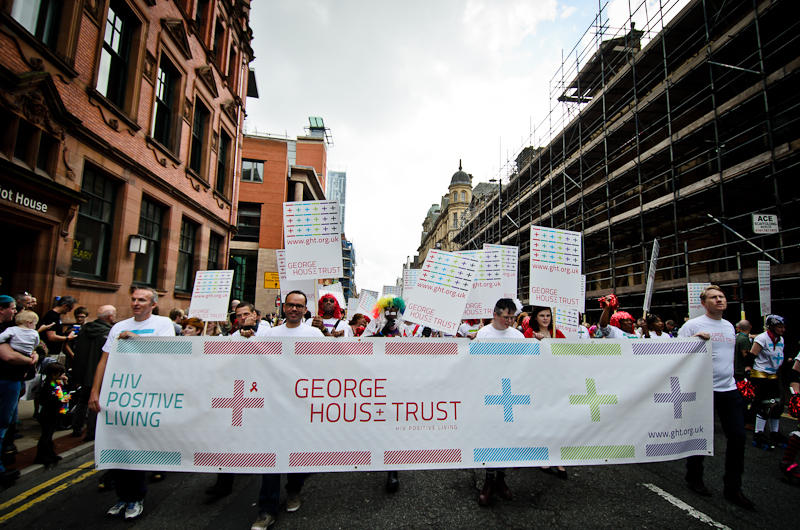 Last night (Wednesday 21st September), George House Trust (GHT) held its Annual General Meeting. It has a unique governance structure, one that fully involves the people who use GHT services and the volunteers. It is part of what makes the culture of GHT, a culture where everyone is valued, everyone is equal. To be a member of GHT, and to vote at the AGM, you must be a service user or a volunteer – 50% of the 134 volunteers are people living with HIV and may use GHT services as well. Members elect 10 trustees to serve for a term of 3 years. 50% of the trustees are people living with HIV. GHT runs a training course for people who would like to become trustees so they are more able to contribute and better prepared to deal with the complex and difficult issues that arise. Members conduct an appraisal of the trustees and have recently been involved in the selection and recruitment of a new, externally recruited, chair. At the AGM and at 4 members’ meeting each year, the Chief Executive and the Chair of GHT are open and transparent about what is really happening. They talk about the problems of funding and long-term sustainability and any other issue impacting the organisation. There is no attempt to soft-soap or manage the members. They tell it how it is. For example, after many years of refusing money from pharmaceutical companies 18 months ago GHT, after extensive discussions with members and their agreement, decided to change the policy. It was up to the members. The openness, transparency, and involvement that characterises the governance structure permeates and reinforces the culture of the organisation. Everyone is passionate and committed and work together. People can’t be categorised. Someone walking down a corridor at GHT might be a trustee, a volunteer, a person using the services or all 3. The involvement of people who use the services and volunteers means that the organisation is kept “real”, it focuses on what is important and what will make a difference to people with HIV. 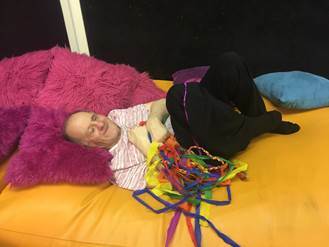 "Trevor (in the photograph below) has been attending the sensory rooms for two years now, he loves relaxing on the water bed and just chilling out. We have seen lots of benefits from using these rooms." Sensory rooms are rather special. These unique spaces help create a calming and interactive atmosphere: colours flash through fibre-optic strands along the floor, streams of blue and green simultaneously twinkle through the bubble tubes and the disco ball sparkles. Sensory room users can enjoy lying on the water beds and listen to music provided or that they have brought with them. These environments have proven to be extremely valuable to those with disabilities, some evidence suggests that they can help to reduce challenging behaviour. Two sensory rooms are provided at Red Bank House in Manchester’s Green Quarter by Disabled Living, a charity which provides impartial information about equipment (assistive technology) and services for disabled adults, children, older people and the professionals who support them. Three members of staff manage the sensory rooms which are used by individuals and groups, children and adults. Today 30 people are using the sensory rooms. Sensory room users include people with dementia, autism, cerebral palsy and a range of other health problems. Some sensory room users book regular sessions while others drop in. At noon on Thurs 22nd September, the morning Craft Group had just finished. Earlier there’d been a Tai Chi session. Soon they’ll be holding a discussion event on health and wellbeing. 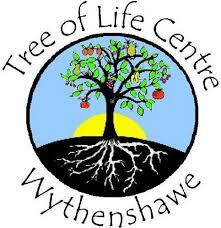 The Tree of Life Centre provides many vital services in Wythenshawe. These include health and wellbeing sessions, advice and friendship groups, a community café and opportunities for local people to train, gain qualifications and experience through volunteering. Tree of Life runs its activities within a wider theme of health and wellbeing and with the overall aim of increasing opportunities and health for the people of Wythenshawe, who are at the heart of everything the centre does. The centre integrates its activities in such a way that the benefit to participants is maximised. For example, someone taking part in the Tai Chi session can also benefit from a back and shoulder massage and a healthy homemade meal in the friendly community café. Yes Manchester - "A wonderful place with wonderful people"
whilst others looked for ties, shirts or suits. Proving giving new life to old clothes is in great demand. Today, Cheetham Hill Advice Centre, which is the only neighbourhood advice centre in Manchester, held a drop-in advice session. They were holding three sessions this week as part of their regular work. 37 people came seeking advice, and of those 22 were seen by someone at the centre and the rest were signposted elsewhere. Everyone who came to the session was seen, however long it took. At this particular drop-in, a young woman with learning difficulties came in desperate for help. She and her two young children had been evicted from their home last night. With the help of her advisor, she found temporary accommodation. 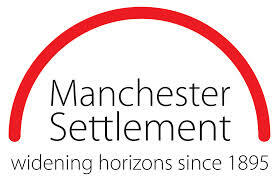 In the view of that client, the work of Cheetham Hill Advice Centre is “a life saver’. On Thursday 22nd September, 70 people turned up for the drop-in session and 30 attended an English class at Rainbow Haven in Gorton. One of the people who turned up was a Kurdish man who used to be a civil servant in Syria. He has a family and wanted help in getting tax credits. Whilst they were on the phone on hold, he showed the advisor a picture of a painting on his mobile. He had many of these pictures and was asked who had painted them. He replied ‘I painted them’. Amanda, the advisor, was highly impressed at the quality and the talent they showed. She put him in contact with Community Arts North West, so they can work with him and help him to take advantage of his talent and exhibit his paintings in order to achieve a better life for him and his family. Rainbow Haven is a community drop-in centre where migrants and refugees come for help, advice and English classes. It helps people to find their way through the asylum process, with tax credit, benefits, referrals to hospital, and provides any other kind of help necessary for a better quality of life.